I am now proud to announce that I am fully qualified to teach English as a second language (English as a foreign language). Therefore allowing me to provide English lessons and help my clients to prepare for their IELTS examinations. Now Teaching English as a Foreign Language / English as a Second Language (TEFL / TESL). I am proud to announce that I am now offering Teaching English as a Foreign Language / Second Language services. Fully qualified to teach after completing an advanced program which took 150 hours to complete and included six observations. 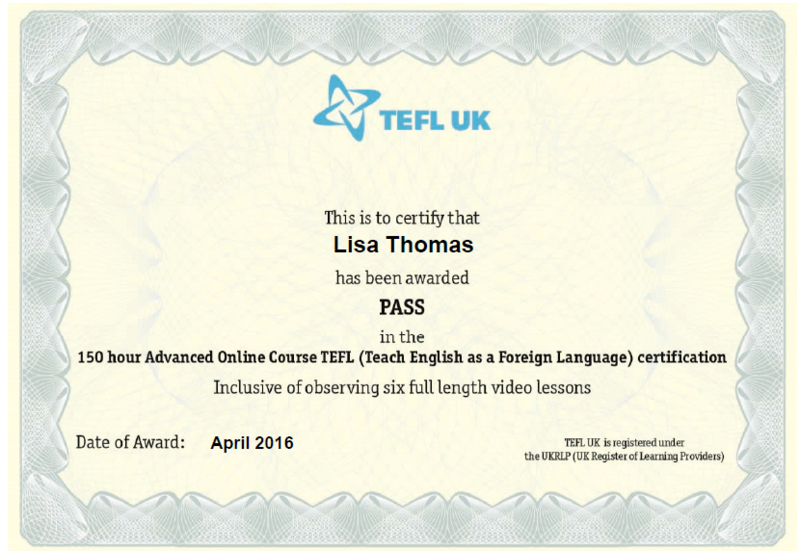 Teaching English as a Foreign Language (TEFL/TESL) qualification. 150 hour advanced course, including 6 observations. What motivated me to start Teaching English as a Foreign Language? I enjoy teaching, in addition I had always been interested in becoming qualified in Teaching English as a Second Language. But I finally made the decision to complete this training after more of my foreign clients (and friends) started to request help with their language studies. Most of these requests have been for IELTS examination preparation. This therefore made my decision for me and I began this Teaching English as a Second Language course. 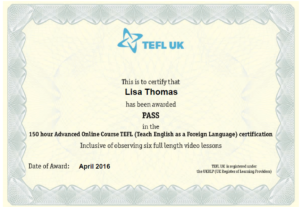 To really help my clients, I found an advanced TEFL/TESL course. Testing your skills. This will ascertain your current level of language abilities and test your examination readiness. Preparation help for IELTS and other language examinations. This kind of one-on-one tuition is perfect for anyone serious about learning the art of the English language. In fact, it will help you to identify areas where you are weakest so you can work on these with you. My lessons and interaction with you will be entirely in English allowing you to practice your skills and I will happily answer all of the questions you have. If you are interested in English language lessons or need help to prepare for your IELTS or other language examinations, contact me now.